I had a thimbleful of patience and the task required "?antonym?". I am looking for a word that has a highly positive connotation, and can be used in formal writing; in praise of someone. I did not come across any entries in places like thesaurus.com for this word. Figurative usage does not seem to be defined even though examples are occasionally given. I chose "torrent" (plural "torrents"), hoping that it would be correct to use it as a unit for measuring something that is essentially limitless and unbounded, something that is overflowing, as in a blessing. Example: He had torrents of true skill and good will. Another possibility, in line with tchrist suggestion below is "tower" , from the list of terms of venery. Also, according to Collins Dictionary, thimble is occasionally used for thimbleful in British English. I had a thimble of patience and the task required a torrent! On the other hand, torrent carries the implication of something arriving with force, suddenly, so it isn't perfect. I had a thimble of patience and the task required a ton! I had a thimble of patience and the task required a metric ton! (slang, vulgar) A very large amount. I had a thimble of patience and the task required a metric crapton! 1I admit I have no evidence of metric as an intensifier other than my own experience, but I am reasonably confident it is used this way. I will admit that this might just be because of the recent popularity of metric crapton though. A possibility is truckful. It starts with a T, and it has a similarity in its ending sound (though not fully rhyming). Example: I had a thimble of patience and the task required a truckful. The connection would be stronger if you used thimbleful instead of thimble. Example: I had a thimbleful of patience and the task required a truckful. It was a time when simple information was doled out by the thimble, and fantasy by the truckload. It’s not like you’re going from a thimble full to a truckload full. "I had a thimble of patience and the task required a tun." Obviously this word eventually became the more commonly seen "ton", but has a stronger connotation of the container itself as opposed to the volume or weight measurement, paralleling your use of "thimble". "... large quantity or amount in a way that it would sound as an antonym for "thimble". I had a thimble of patience and the task required a "trainload". 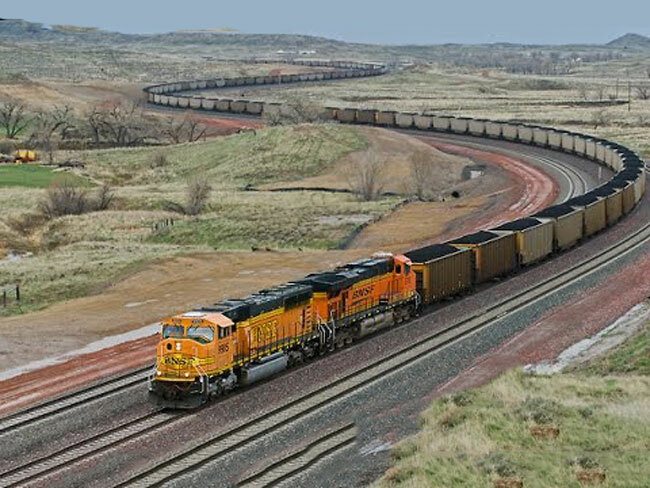 The full freight or passenger capacity of a railroad train. A load that fills a train. A specified minimum number of loaded cars or tons of cargo necessary to secure a special rate ('trainload rate'). The heaviest train consisted of 682 ore cars and eight distributed GE AC6000CW locomotives with a total weight of 99,734 t (98,159 tons). A thimble is something that would only hold impractically small amounts if it was used as a container. More specifically, it can only hold an amount equivalent to the tip of your finger. What you probably want is a container that holds unusually large, yet practical amounts of liquid. Given that you specifically want a word that starts with a T, I think the best commonly known word is tub, which is a word that I presume is in little need of defining. You could also use tubful to directly reference the entire amount a single bathtub can hold. Bathtubs in particular can hold almost the entire human body, with some water besides and there are various other sorts which can be used for other purposes such as for example cheese making. Admittedly, there are a couple of problems. The first is that most tubs are not of a determinate size, yet I do not think this will pose too much of a problem because in the modern day and age, most people should own a bathtub and see it every day, if not to take a bath, then on the way to their toilet at least. The other is that perhaps a bathtub isn't quite the most outrageous quantity of water to leave the amount of hyperbolic impact that you want. However, it is quite a large quantity nevertheless. According to Environmental Science by G. Tyler Miller and Scott Spoolman (2012), the typical bathtub is 151 liters or 40 gallons worth of water, and the bathtub pictured on page 241 looks like it might be a little bit on the smallish side, at least to me. This particular problem can be partially solved at least in part through pluralization, by indicating that there is at least one more tub's worth of water, which is at least 80 gallons if we assume a bathtub's worth of water. Even if somebody assumes another, smaller type of tub, such as a tubful of ice cream, it is probably going to be considerably larger than a thimble's worth, which I think is the most important factor. Since a thimble can hold only a little bit of something, all you need is something that can hold a whole lot of something. The obvious other ends of that scale would be a barrel if you consider patience something deserving of a wet measure like oil, or bushel if your patience is something that can be held by a dry measure like apples. Perhaps there should be classic measures of emotions or conditions that work like terms of venery work for groups of creatures, pairing thereby a covey of quail with a chaldron of charm, a gaggle of geese with a hectare of hate, a clowder of cats with a candela of curiosity, or a kettle of kestrels with a firkin of famine. One alliterative suggestion would be a tankful. Here is an illustration of a potential use: I had a thimble of patience and the task required a tankful. I had a crumb of patience and the task required a tonne. I have branched out on this one, and my suggestion departs slightly from the stated requirement. I wanted to it to be alliterative but could find no measure or container beginning with 'th'. I also wanted the second word to be one syllable, for emphasis. I had a thimble-full of patience and the task required a flood. If you're writing a lyric, you could use cask (which rhymes with "task" — and makes a euphonious phrase). How about 'vat'. I don't know a word for a large container that rhymes with 'thiimble' but how about using 'brim-full' ie 'a brim-full vat'. Brim-full means full to the brim, or top. I would personally go with bucket or bucket-full. While bucket is not as large as the other suggestions, a bucket looks a great deal like an overgrown thimble. This would all depend on context, of course. While a thimble is generally considered small, it's not miniscule (by most standards). As a result, a constrasting measure (rather than an antonym) is not necessarily enormous. When I read this answer, I thought trunkful. It alliterates by spelling and has as much of a rhyme as truckful or tubfull does. The real reason I like it though is that I think of a thimble as a sewing implement. And a trunk is a place where you put the results of sewing, that is to say, clothes. So there is a resonance of purpose there. A seamstress might reasonably have access to both a thimble and a trunk, whereas it seems unlikely that she would have a truck or tub stored with her sewing supplies. Alternative for a bartender: a jigger of patience when I needed a keg! Not the answer you're looking for? Browse other questions tagged single-word-requests antonyms metaphors or ask your own question.